Coral Springs Appraisers is a Florida Real Estate Appraisal company dedicated to providing lenders and individuals with high quality and timely residential appraisal services in the South Florida area including West Palm Beach, Fort Lauderdale, Boca Raton, Coral Springs, Broward County and Palm Beach County. If you need a Coral Springs Appraiser we are the one to call! At Coral Springs Appraisers we stand by our appraisal reports and pride ourselves on accuracy and timeliness. Our Coral Sprngs appraisers follow industry standard Fannie Mae and Freddie Mac guidelines. We maintain communication throughout the process so you'll know when your appraisal report will be completed. We rely upon up to date data and technology in order to ensure an accurate and timely appraisal service. Most appraisal reports are delivered via email within 2 business days from the date of inspection. 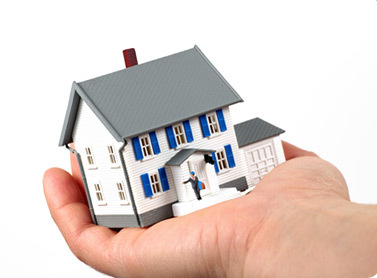 Our Coral Springs appraisers are highly qualified and state certified. We do not staff trainees or apprentices. We provide quality reports while maintaining a rapid turnaround time. All our appraisers are state certified, meet continuing education requirements, and have extensive experience analyzing property in Coral Springs and the surrounding area. If you need a Coral Springs Appraiser call us today! Coral Springs was chartered in July 10, 1963 as a city in Broward County Florida and is located approximately 20 miles northwest of Fort Lauderdale. According to U.S. 2007 census estimates, the city had a population of 126,875 and is part of the South Florida metro area which has a population of approximately 5,413,213 people. Coral Springs was orginally master planned by Coral Ridge Properties and the city's name is derived from the company's name. From the 1970s thru the 1990s, the city grew rapidly, adding over 35,000 residents each decade. Coral Springs has a distinctive atmosphere among South Florida cities, due in part to its stringent building codes designed to maintain the city's aesthetic appeal. The city government's effective fiscal management has maintained high bond ratings, and the city has won accolades for its overall livability, its low crime rate, and its family-friendly orientation. Prior to its incorporation, Coral Springs was part of 20,000 acres of marshy lands bought by Henry Lyons between 1911 and 1939. After several floods in 1947, Florida created the Central and Southern Florida Flood Control District (now the South Florida Water Management District). Canals and levees drained much of the area upon which Coral Springs was built. The post-World War II South Florida real estate boom Florida attracted the interest of real estate developers. Coral Ridge Properties bought 3,869 acres from the Lyons family in 1961 for $1 million. By 1964, the company had developed a master plan for a city of 50,000 residents. In 1964 the first sale of 536 building lots netted $1.6 million. Coral Springs has grown to 19 public schools, a regional mall, shopping centers and parks during the past three decades. The construction of the Sawgrass Expressway in 1986 brought even more growth. A theater and museum opened in the 1990s. Coral Springs was ranked as the 27th best city in the United States by Money Magazine in 2006. and was listed as one of the topp 100 communities for kids by America's Promise in 2007. Coral Springs was the first city in the nation to receive the Malcolm Baldrige National Quality Award. Coral Springs has strict landscaping and sign laws and hosted the first Mcdonalds restaurantwithout the distinctive Golden Arches. Restrictions on commercial signs, r paint colors, roofing and landscaping specifications are all strictly enforced. Real estate values in the city are higher in Coral Springs than the county as a whole. In 2006, the median price of a single family home in Coral Springs was US$415,000, while the median price county-wide was US$323,000. Coral Springs downtown is the focus of an extensive redevelopment plan, with and estimated cost close to US$700 million. The plan includes an open-air shopping and entertainment center. When completed, the downtown area will offer office, retail, and a new government center, encompassing approximately three million square feet of floor space, in addition to approximately 1,000 residential units and a new hotel. Coral Springs has over 50 municipal parks, including a water park and skate park, encompassing over 675 acres. Mullins Park is the largest in Coral Springs with approximately 70 acres. Sandy Ridge Sanctuary is the largest conservation area with 38 acres. The median income for a household in the city was US$69,808, and the median income for a family was $76,106. Males had a median income of $47,427 versus $34,920 for females. The per capita income for Coral Springs was $29,285. Many of Coral Springs schools have received the "Five Star School Award" from the Florida Department of Education.